Mindset 24 Global – What Is This All About | Checking For A Scam, So You Don't Have To. Mindset 24 Global is a new system that claims you can make all the money you will ever need or want. The launch is in a couple days so I want to give you all the information I can find so you can make a decision. This is supposed to be brought to you by some of the biggest minds in the industry. From reading the material the big grab seems to be the coaches, first we have Kevin Harrington of Shark Tank. OK, pretty impressive Kevin is a Marketing Partner, he has put together his best videos, interviews, e-books, and stories. This is all put together in a way that is supposed to impact our lives, wake us up so to speak. We also have another star of the industry and that’s Jay Sargeant his is a Master NLP (Neuro Linguistic Programming) Trainer and Famous Author. I think from what I read Coach Jay, this is how we will come to know him, is going to offer us the most powerful and proven communication and persuasion techniques and strategies. What we are supposed to get from this is going to be life changing (Well that’s what they claim). We are getting all this information from these experts that are supposed to enhance our lives and change our MINDSET. This brand new program is going to teach us the NLP Expert Model, rapport building strategies, master level reframing and techniques to create the most profound states of mind. We do know that the “24” stands for the fact that we all have 24 hours in a day. Its all about what we do with the “24” that we have. The experts that I mentioned are going to give us the best ways to use our “24” hours. If you want to be successful listen and learn from people that are already successful. The program is about changing your mindset, by changing your mindset all aspects of your life will improve. This program is not only claiming to help with your financial situation but help with all aspects of your life. This all sounds great, but I know you still don’t know what this is all about. I am digging in to get you all the information I can so you will have an idea of what this is all about. We will be getting into it as we go on. Let’s face it all of this sounds too good to be true, that is my first Red Flag. This will all come out in due time, we are going to stay with this until we find out everything we can, then I will pass it along. First we see a message from Mindset 24’s CEO, he explains that with this program they pay out 70% of the gross. From an affiliate marketing point of view 70% of the gross is amazing. Again, we don’t have all the facts so as I said, all this as good as it sounds remains up in the air. Also, all of your commissions are paid in real-time by Bitcoin. I have never heard of a company doing this before so it just keeps sounding more attractive. The problem with this is it is hitting almost all the targets to be considered a scam. I am not yet saying this is a scam we need more information before I will make a judgment. They also have something called 100% coded bonus match potential. Now if that’s not enough they also have a 20% Global Profit Sharing Pool. 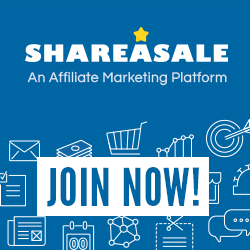 This is a pool of 20% of the gross revenue of every sale that is put into a profit sharing pool. The break down of that 70% goes like this. This pool of money allows everyone even if you only do this part-time to share in this pool and make commission. We are going to dig into this now and see how this plan pays out. They do have an income disclaimer that states, they don’t have enough information on the system and the commission because it’s too new. They say they will update the disclaimer after the first full year so they will have actual data. There are 3 different ways to make money with Mindset 24. What I found out looking at this compensation plan is that there are 4 levels. Each one has a different payout so those would be buy in levels. The only way you get paid for a Series is if you buy that Series or you sell up to that Series. If you, want the highest bonus right away you have to buy into Series 4 for $2K. Once you sell a series the count begins, you will either get paid on it or it will pass up if your not at that series. Once the counter starts out of the first 6 sales you get coded for sale 1, 3, 5. Then 2 out of every 3 sales up to infinite width are coded to you, so (Seventh and Eight, Ten and Eleven, Thirteen and Fourteen). The others are passed to your up line. When you make your first sale and then they make their firstsale you will receive the coded bonus for their sale. OK, the catch is you have to be a 4 Star to be eligible for the coded bonuses. You are right it’s the most expensive package at $2K. If your, not a 4 Star you will pass your commissions to your up line. Then there is the Coded Match this pays 100% match for all of your personal Coded Bonuses. To be qualified for this bonus you have to be active at your level, also you have to have sold at least 2 packages of the level you are active on. Lastly is the Profit Sharing Pools, this is the 20% that is taken from every sale. Its split into 7 different Profit Sharing Pools each pool is given a percentage of the 20%. Super Star – 2% – Purchase any Package and do 10K in a 30-day rolling period. Your in for 30 days. Founders Only – 2% – You can qualify during Prelaunch. There is one more bonus, I guess you could call it a quick start bonus. You can come in at the lowest Series and if you can sell $10K worth of any combination of Series (You could sell 5 Series 4 – $2K times 5 = $10K). Then you automatically get ranked to 4 Stars, and get put into 5 Stars. 1 – 4 Star and the Super Star for 30 days. Anyone can get into the Super Star Bonus, if you can sell 10K in any one rolling 30 days. Once you do that you are in the Super Star Bonus for 30 days. You can stay in the Super Star Bonus as long as you continue to sell $10K worth in the 30-day rolling month. The Prelaunch Exclusive is a chance to share in the gross profits of every single sale that the company ever makes. This is the Founders Profit Sharing Pool. There will never be another chance to get into the Founders Profit Sharing Pool. If you, decide to purchase the whole Mindset 24 Global Series you qualify. That’s the information we have so far, I will be keeping up with this system. I won’t stop till I get you all the information you need to make an informed decision. Keep stopping back I will be adding updates to this post as soon as I have more information. If you have any questions or comments I would love to hear them leave a comment below. If you have any information I may have missed please leave a comment below. This way everyoe will have a chance to know so we will know if this is a Scam Or Not. If you are looking to make money online, then I know where you can find the help you need. This is free to try and no credit card is required. So what are you waiting for, its now time to get that online business up and running. Work from anywhere in the world, set your own hours, and be your own boss. The only thing you have to lose is your ability to make money online, and be able to quit your job and live life on your terms. Click Now to get started! FREE! NO CREDIT CARD!